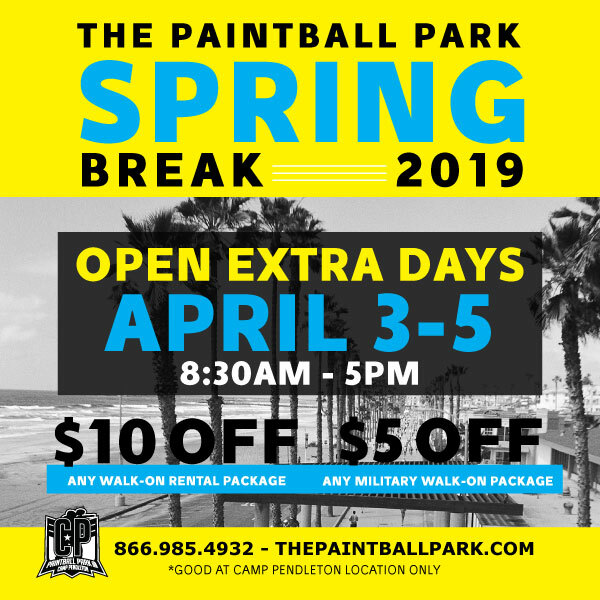 This location is located right on site at Camp Pendleton paintball park! The Tournament Park at Camp Pendleton is a world-renouned hot spot for the best paintball competition in the USA. Home field for some of the biggest team names in paintball, including San Diego Dynasty and the Los Angeles Ironmen, on any given weekend you can see the best and practice against SoCal’s finest.